This Eagle Group IC3-24 ice chest cover is intended to replace the one that came with your Eagle Group B24IC-19 Spec-Bar ice chest. A broken ice chest cover can greatly diminish the effectiveness of your ice chest, so it is important to replace the cover as soon as you can. Plus, the cover increases the sanitation by keeping out dust, dirt, and other contaminants, giving you clean ice for drinks and other consumption. This two-piece cover is removable and it slides open for easy scooping access. 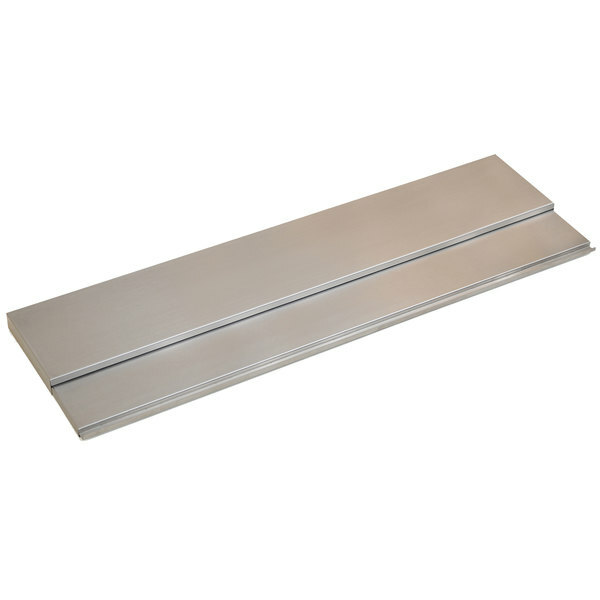 Made of 304 stainless steel, this cover is highly resistant to corrosion and easy to clean.